Royal Chundu Lodge is located 30 kilometers upstream from Victoria Falls, on a 15 kilometer stretch of private waterway. Royal Chundu is close enough to Chobe National Park in Botswana that Royal Chundu offers day trips into Chobe. 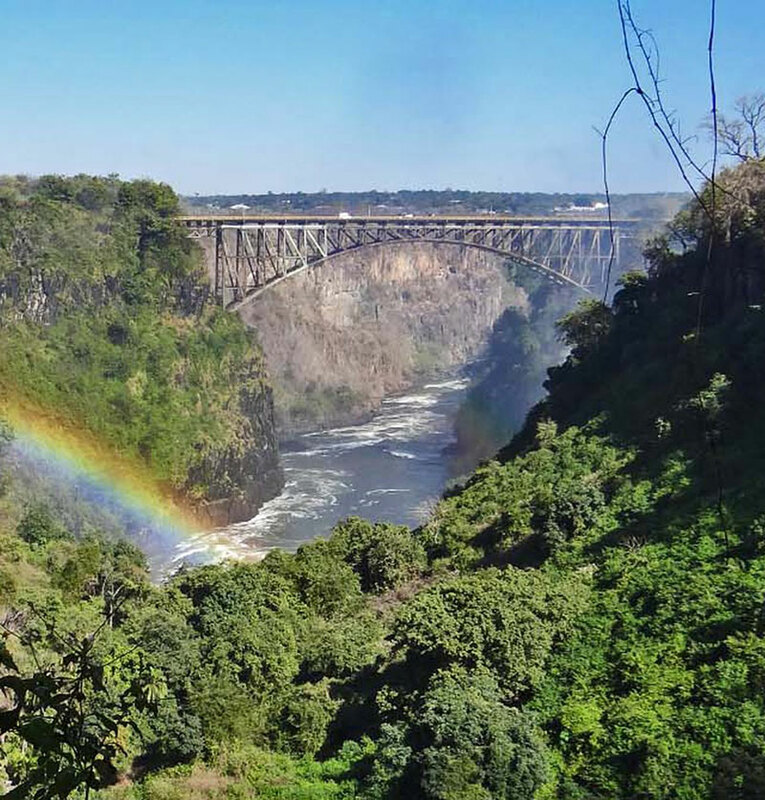 This ideal location makes it easy and convenient for guests to combine Victoria Falls with a fantastic Big 5 safari experience. Because Royal Chundu is on a private waterway, it ensures that the only boats the guests will see on this stretch will either belong to Royal Chundu or local mokoro fishermen. 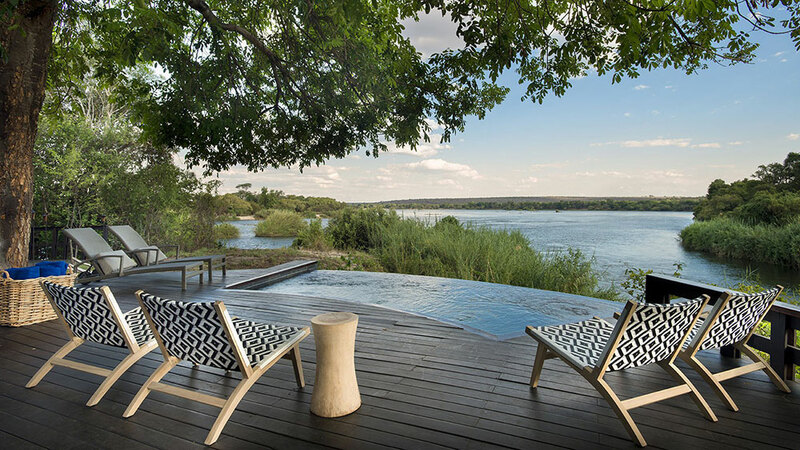 The river supports large populations of wildlife, allowing guests to see animals such as hippo, crocodile, elephant, zebra, and giraffe right from the lodge’s viewing decks and even from their rooms. The Royal Chundu is the first Relais & Châteaux property in Zambia. This property features 2 separate lodges: The River Lodge, and the Island Lodge. Both lodges are situated on the private waterway, offering guests seclusion, privacy and exceptional views. The suites have been built on a large wooden deck right on the river bank and wooden pathways that lead to the raised suites giving guests superb views of the river. The River lodge public areas center around Infinity pool overlooking the Zambezi and Zimbabwe on the other river bank. 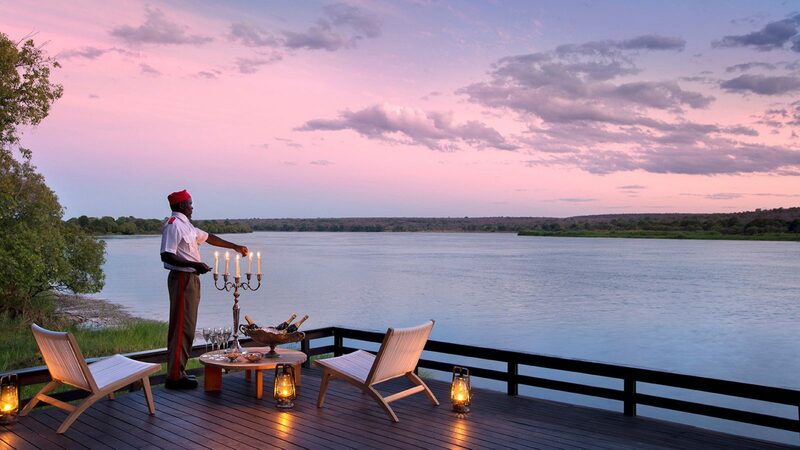 A boma hosts dinners in candlelight, which to the backdrop of the sounds that come alive at sunset and the sound of the slowly moving river, make for a relaxed and peaceful stay. A business center, conference facilities, and wifi are all available should you need to get access to the outside world. Island Lodge is located on Katambura private island, and is a bit more private and exclusive. The lodge has only 4 Villas, each with a spectacular and very large viewing deck. The Villas feature air conditioning, mosquito net, large open-air bath, and a glass-walled double shower. Island lodge has the best infinity pool of the two lodges. Since there are only 4 lodges on the island, it makes the stay here more exclusive and private. The island also has two lounges, a boma for dinners, and private dining decks should you seek complete privacy. One of the distinct advantages of staying on the Zambian side of the falls is that lodges are located on the Zambezi river, meaning more activity options. If you are active and would rather spend the day doing something, Royal Chundu is a good place to consider. Want to see Royal Chundu Lodge as part of a trip? Enquire today to let us help build your holiday.